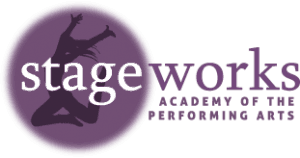 Stageworks teaches children and adults to love the art of dance, the principles of theatrical production and the challenge of acting through instruction and performance. The Leduc-based academy provides programs that guide students using gentle, disciplined direction and a comprehensive curriculum. Classes are taught by uniquely qualified and caring instructors in the beautiful performing arts studios situated in Leduc’s beautiful Cultural Village near Telford Lake, established in 1982. Theatre and Dance is taught to students from 2 yrs to adult with an emphasis of youth.